If you have questions about jury duty, please click here for information on how to reach the jury department. Please do not submit the form below for jury questions, as those must be addressed by the jury department. Please do not call other court departments as they won't be able to assist you. 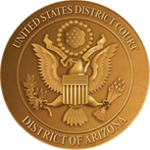 If you have questions about e-filing a document with the court, please click here for more information. If you are having technical difficulties, please click here for information on how to reach the CM/ECF Helpdesk. Do You Have a Question About a Pending Case or Need Copies of Documents? Case related information is available electronically via the Judiciary's Public Access to Court Electronic Records (PACER) system. You can register for this access by visiting https://www.pacer.gov/. Otherwise, click here for information on how to reach the Customer Services department. Please do not contact judges’ chambers as they will refer you to Customer Service. Please review the list of links at the left and top of this page to see if your question may be best addressed in one of these locations. It may also be helpful to conduct a search by using the search function in the upper right of this page. If you still have questions, please call one of the numbers listed below, or use the “Contact the Court” form, below, to send an email to the Court.